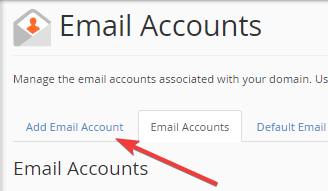 Click under the button "Email" on "Email Accounts". Click at the top on "Add Email Account". 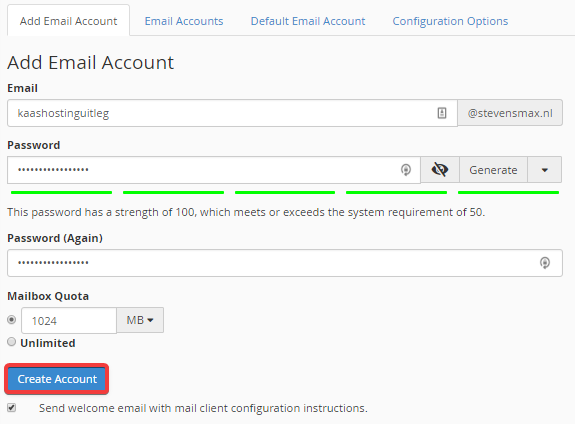 In the "Email" field, fill in the part that needs to come before the @ sign in your email address. In the "Password" and "Password (Again)" fields, fill in the password you want to use for the email account. We advise using a strong password and different to your cPanel password. Click now on "Create Account". When you clicked this button, your mail account is successfully created.